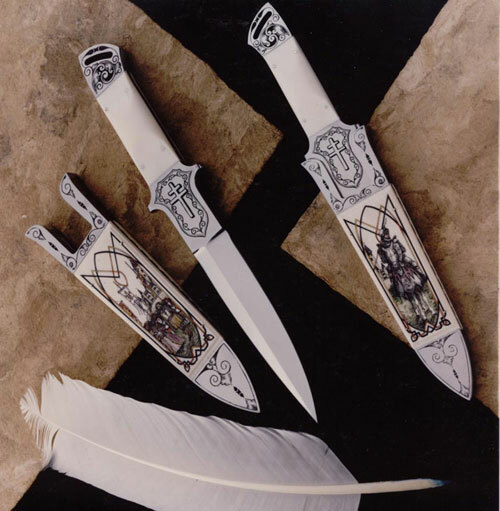 Ed Lary made this knife and sheath set. I had taken photos at a Texas Renaissance fair and used them to inspire the piece. The border seems simple, but when you are scratching away, remembering when to go over and when to go under is not as easy as it looks!